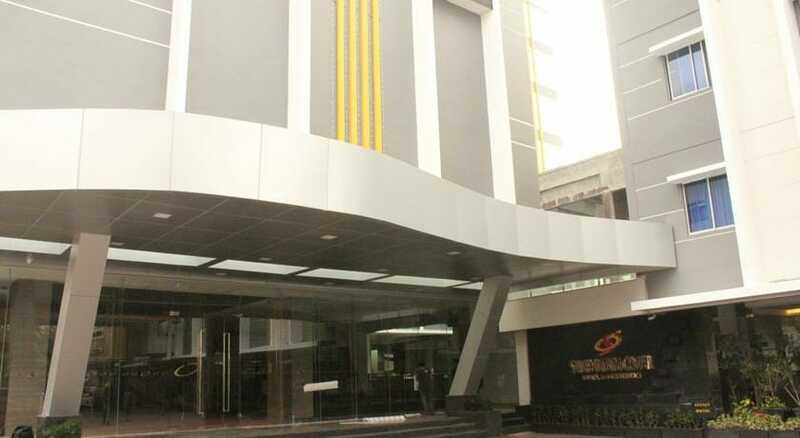 Sahid Batam Center Hotel is a 3-star hotel that’s part of the Sahid Hotels & Resorts group which runs 18 hotels across Indonesia. This special Sahid Batam Center Hotel Package includes 1-night stay with breakfast, 2-way ferry tickets from Singapore, 2-way Batam land transfers, and option of Batam tour with seafood lunch and body massage. Located right in the heart of Batam Center, the new Sahid Batam Center Hotel is just 5-minute drive away from the main Batam Center ferry terminal. 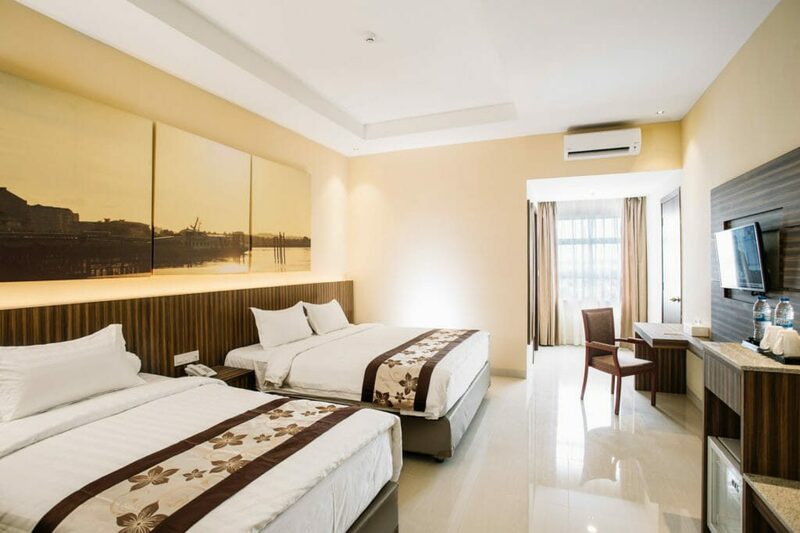 This hotel is suitable for any traveller who’s looking for a good and affordable hotel in the Batam Center area. Although it’s branded as a 3-star hotel, Sahid Batam Center hotel surprisingly has a swimming pool! 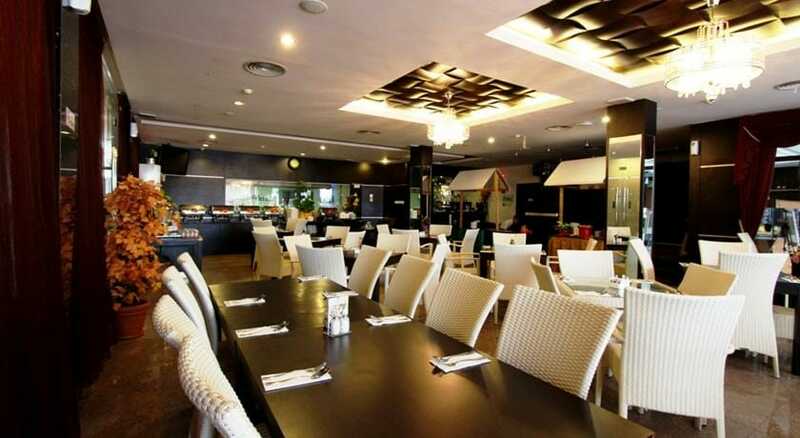 It also has a restaurant, roof-top bar, fitness centre, ballroom and various room categories. Apart from additional surcharges on some public holidays, Sahid Batam Center applies the same rate across weekdays and weekends. Be it a hotel package with ferry and tour, or simply a hotel and ferry package, be sure to book it with us! 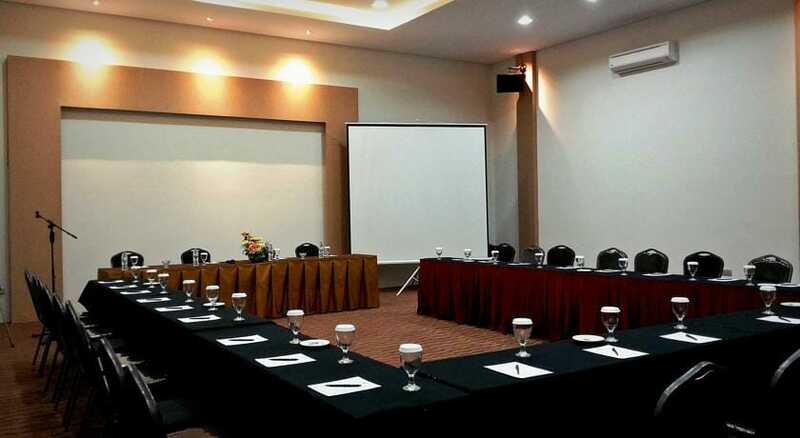 My company arranged for a meeting here, Sahid hotel is good for business and have good size meeting rooms. Recommended for businesses to be held here. Rooms are smaller than usual. 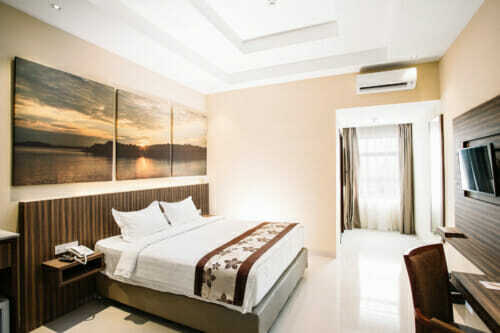 Compact room with good wifi connectivity, is all i need for my work routine, thumbs up SahiD! Hotel rooms were quite compact and a little small as compared to other hotel. At night, the hotel will turn on the pyro-lights from the exterior which makes it look nice from a distant! Excellent choice of hotel for cafe/restaurant hopping!! !